Chelsea have agreed to sell Oscar Emboaba to Chinese Super League side Shanghai SIPG on a permanent deal for £60 million. 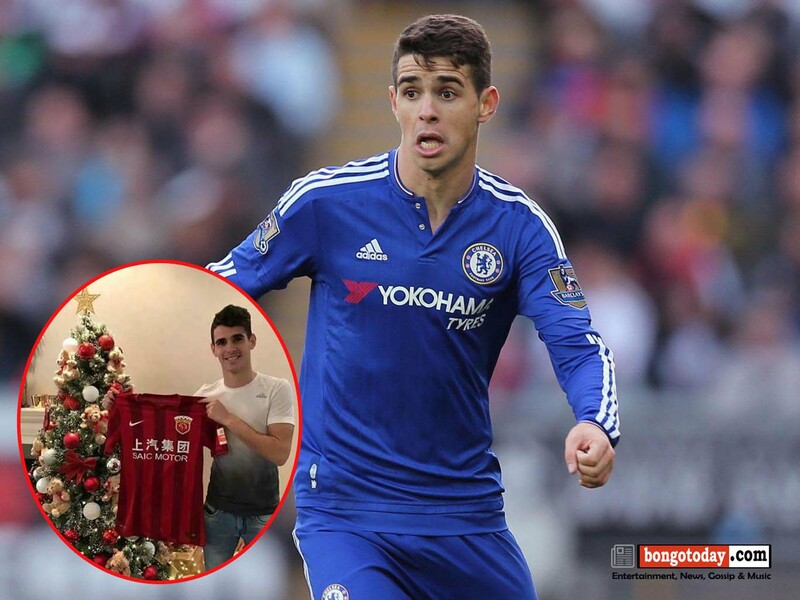 Oscar Joined Chelsea from Club International of Brazil in 2012 for a fee of £24 million. The midfielder has had a tough time in the squad of coach Antonio Conte as he has failed to conform to the system of 3-4-3 which confers to Chelsea's success at the moment. The Brazilian will become the most expensive player in China once he completes his deal, with Shanghai ready to offer him a contract worth a reported £400,000-a-week, overtaking the current highest earner in his new teammate Hulk and his £317,000-a-week. Oscar becomes the most expensive signing in Chinese football, and his departure also exceeds the £50m fee that Chelsea received for the sale of David Luiz to Paris Saint-Germain.